Financial Concepts > Economics > Financial Institutions > What is the U.S. Federal Reserve? As the central bank of the world’s biggest economy, the U.S. Federal Reserve makes decisions that impact much more than its own economy. Everything from mortgages rates to financial markets can feel the impact of a change in interest rates, because the Fed’s short-term rates serve as the basis for the rates of others. Every time the U.S. Federal Reserve says something, the world listens. The central bank makes news even when it chooses to do nothing at all, and every word uttered by its members is closely scrutinized. What is the Federal Reserve and why does “the Fed” hold such interest for people? It’s because it represents the voice of the world’s dominant currency, the U.S. dollar. Any decision the central bank makes on interest rates will impact the price of borrowing money, and influence everything from mortgages to corporate financing to emerging markets. “Every central bank is important to their domestic economy and their domestic financial system, but the Federal Reserve is the bank that has the greatest influence on global financial conditions,” said Craig Alexander, vice president of economic analysis at the C.D. Howe Institute. The U.S. Federal Reserve is the central banking system of the United States, and it’s in charge of setting monetary policy. While it was initially set up in 1913 in response to several financial panics, the Fed is currently responsible for a lot more. Its three main objectives have typically been to ensure stable prices, maximum employment and moderate long-term interest rates, although after the 2008 financial crisis it was also put in charge of regulating banks and maintaining the stability of the financial system. 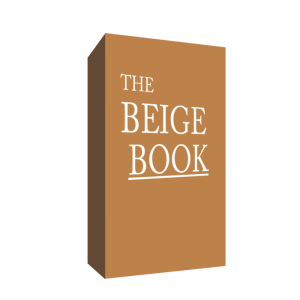 The Fed also publishes important economic research, including “the Beige Book,” a collection of information about the economic situation in various districts, and “Fed Minutes,” which are notes from regular meetings on economic policy by the Federal Open Market Committee, or FOMC. The U.S Federal Reserve controls interest rates by changing the target rate on the short-term overnight rate, or the Overnight Fed Funds Target Rate. This is the interest rate at which institutions can borrow from the Federal Reserve overnight –the shortest period of time that one would borrow for. “The way that financial markets operate is that you start with the Fed Funds Rate as your floor, and you add a variety of different premiums: a liquidity premium, a default premium, an inflation premium – and this how you actually get longer-term interest rates in the economy,” Alexander said. Changes in the short-term overnight rate have a cascading effect across the maturities of fixed income instruments, which provide a certain yield, and those yields are basically interest rates, he adds. The Fed will typically raise rates to slow down the pace of economic growth if it’s worried things are moving up so quickly that there’s a risk of inflation. Higher interest rates will make borrowing money more expensive. Lower interest rates decrease borrowing costs, allowing people and companies to get cheaper loans – which tends to encourage spending. One thing the Fed doesn’t do is create currency; that’s up to the United States Department of Treasury. And it’s the FOMC, which includes both members of the Board of Governors in Washington, D.C., and the presidents of the 12 decentralized Federal Reserve Banks throughout the country, that actually sets monetary policy. Those in charge of setting interest rates and monetary policy are well aware of the impact moves by the Fed can have on the markets and on everyday people. That’s why whenever the central bank makes a change – up or down – it tends to do it gradually, and with advanced notice, to give everyone time to prepare for the changes. Summary: Why Do Financial Markets Go Up and Down?